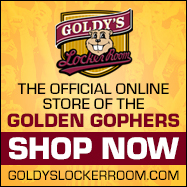 Golden Gophers players and fans are understandably excited about the team earning an invitation yesterday to the NCAA Tournament, but it will probably be a “short dance” for coach Richard Pitino’s team. After 34 games, including many against quality opposition, there are no more secrets about this club. Before the season a lot of media didn’t think the sixth edition of the Pitino era was talented enough to qualify for the “Big Dance,” but the Gophers mostly rode the twosome of forward Jordan Murphy and guard Amir Coffey to several successes including defeating nationally ranked Purdue twice this month. Coffey at No. 7 in points per game and Murphy at No. 11 are among Big Ten’s best scoring combos. Only Indiana’s Romeo Langford at No. 6 and Juwan Morgan at No. 9 are a higher scoring duo in the Big Ten. Coffey saved his best for last this season, averaging 23.8 points per game in helping Minnesota win four of its last six games. He is a multi-skilled player who offensively gives the Gophers outside and inside scoring, including in the deciding moments of games. “His skill set is off the charts,” said CBS analyst Grant Hill during Saturday’s Minnesota-Michigan game in the Big Ten Tournament. Coffey is averaging 16.3 points per game, while Murphy is at 14.9. Few college players are better inside scorers than Murphy who consistently bulls his way to the basket. Without Murphy’s Big Ten leading rebounding, the Gophers could not have come close to putting together a 21-13 season. That record earned the Gophers an NCAA Tournament assignment to play Thursday in Des Moines against Louisville in a East Region game. Minnesota is likely to struggle in the tournament, though, because there isn’t enough talent and experience on the roster to complement Coffey and Murphy. 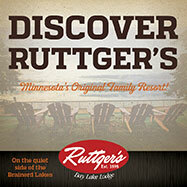 The Gophers went a combined 3-8 against the Big Ten’s five best teams (over .500 records in league play). They were 2-1 against Purdue, split two games with Wisconsin and finished 0-1 versus Michigan State, 0-2 against Maryland and 0-3 in matchups with Michigan. In every Gopher game, it’s an unknown as to which player—if anyone—steps up and complements Coffey and Murphy. Sometimes it’s been freshman starting center Daniel Oturu, who has the talent to some day be All-Big Ten like Coffey and Murphy. Fellow freshman guard Gabe Kalscheur shows promise offensively and defensively, but inconsistent shooting is a problem. That’s true, too, of senior guard Dupree McBrayer. The better teams, the ones who advance far in the tournament field, don’t struggle to score points, including three pointers. At 5.2 made three pointers per game, few teams have found shooting beyond the arc any more challenging than Minnesota. Opponents are averaging 6.7 three pointers converted and have 50 more makes than the Gophers. Pitino has been using fewer reserves in recent weeks. Those subs usually are in for limited minutes to provide short amounts of rest for the starters. They play hard and contribute in subtle ways, but their scoring production is limited. In Minnesota’s 75-73 Big Ten Tournament upset of Purdue on Friday, the bench players produced zero points, while Murphy and Coffey combined for 48 points. Maybe the Gophers can make a Cinderella run in the tourney but their resume doesn’t support that prediction. As a No. 10 seed they are underdogs against Louisville. If Minnesota wins Thursday, East No. 2 seed Michigan State (ouch) likely awaits the Gophers on Saturday. The Gophers are one of eight Big Ten teams invited to the NCAA Tournament. The total is the most in Big Ten history. 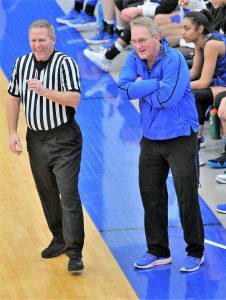 Brian Cosgriff, 58, added a seventh girls state tournament title Saturday night as part of his 20 year coaching career at Hopkins, and he told Sports Headliners last week he plans to continue coaching for awhile. His roster is loaded with returnees—14 of 18 players back for next season including daughter Brooke Cosgriff. Four of five starters return including point guard Paige Bueckers who could turn out to be the best prep player nationally in the class of 2020. Bueckers plays unselfishly on the court, and has given her time to organize a series of free basketball clinics for youth. Sid Hartman, whose 99th birthday was last Friday, got his first by-lined story in Minneapolis newspapers on November 1, 1944, per his book Sid Hartman’s Great Minnesota Sports Memories. Before going to work as a journalist for the Minneapolis Times for $11.50 per week, Hartman’s previous newspaper work was in high school at Minneapolis North. Still now writing multiple columns per week in Minneapolis, he wrote his first column for the Times on September 13, 1945. Governor Tim Walz, MLS commissioner Don Garber, the mayors of Minneapolis and St. Paul and other dignitaries are scheduled to speak this afternoon at the Minnesota United’s ‘Scarf Raising’ ceremony to commemorate the opening of Allianz Field, the privately-financed soccer specific stadium in St. Paul. MNUFC’s home opener at Allianz Field, a nationally televised game on ESPN 2 against New York City FC, will be Saturday, April 13 starting at 4 p.m.
Have to wonder about ticket demand for tomorrow night’s Timberwolves game at Target Center against the defending NBA champion Warriors when Ticket King was promoting $29 tickets via email several days ago. The Wolves per game home attendance average of 14,981 ranks 29th out of 30 teams, per Espn.com.